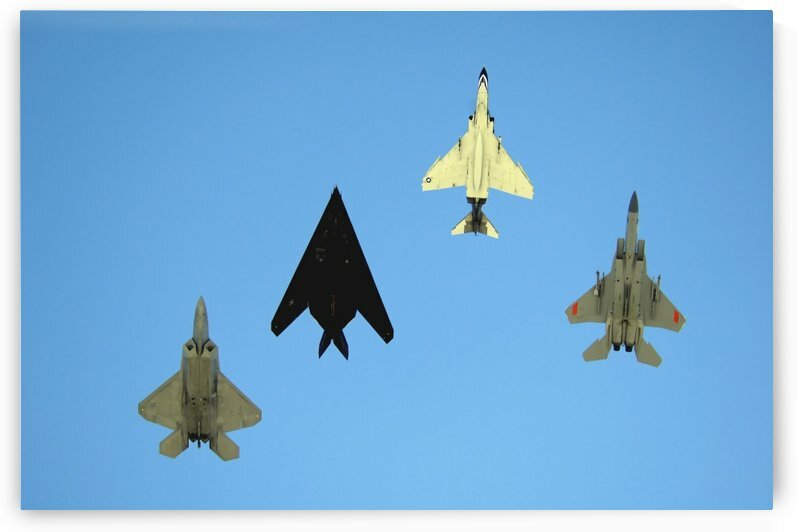 An F-22 Raptor an F-117 Nighthawk an F-4 Phantom and an F-15 Eagle in flight. 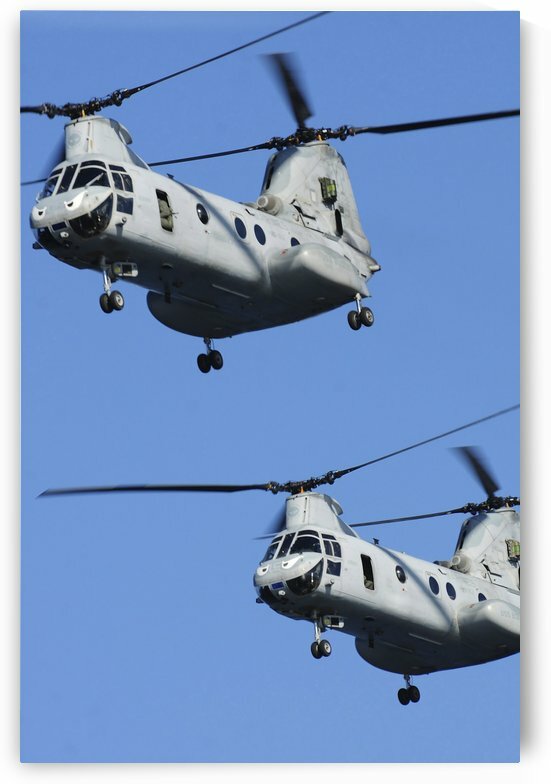 Two U.S. Marine Corps CH-46E Sea Knight helicopters in flight. 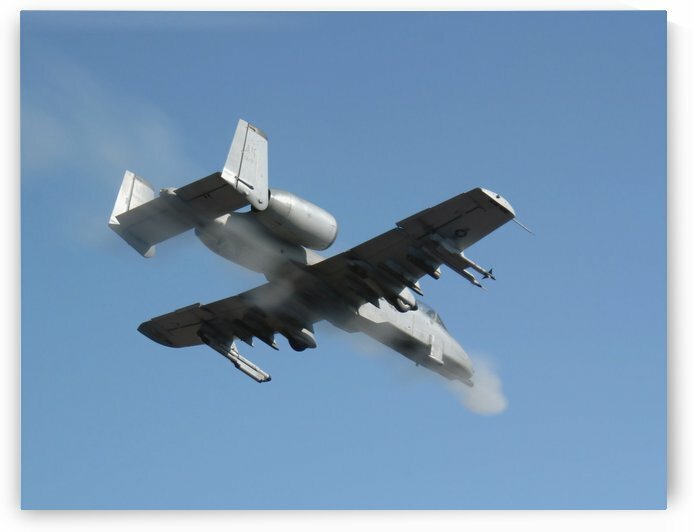 A Pilot fires the GAU-8 from an A-10 Thunderbolt II.